Insomnia is the inability to fall asleep, stay asleep throughout the night, or wake up too early in the morning. Insomnia is a common health problem and it is estimated that every one in three people in the UK suffers from the condition at some point in life. Depending on the intensity of the condition, insomnia may limit an individual from performing day to day activities and affect their work performance as well. What adds to the challenges faced by an individual suffering from insomnia or depression is that doctors often hesitate prescribing medication for sleeplessness, and the patient continues to suffer from this potentially debilitating disease. There are a multitude of causes that may contribute to insomnia and sleeping problems, however, insomnia is usually categorized as either acute or chronic insomnia. Acute insomnia can occur suddenly and similarly can go away just as quickly, without the use of sleeping pills. Sudden and extreme stress, such as financial worries, the death of a loved one or losing a job. Illness or injury, which may make sleeping difficult. Changes in your normal sleep schedule, such as having a baby, jetlag or getting used to a job that requires you to work night shifts. Chronic insomnia, however, is usually ongoing and can seriously disrupt your quality of life on a long term basis. Chronic insomnia usually doesn't simply disappear on its own and may require sleeping pills in order to facilitate proper sleep. Problems with sleep 3 or more times weekly and for 3 months or longer would classify a case as being chronic. These problems can be linked to more severe physiological issues, can have psychological roots, and can be linked to the use of certain medications among other factors. Waking often during the night. Waking during the night and struggling to go back to sleep. Waking up too early without the recommended number of hours of sleep. Sleep cycles that are out of balance, where you wake up feeling groggy and unrested. Can Lifestyle Changes Help with Sleeping Problems? Establish a strict sleeping schedule. Go to sleep at the same time every night with a good wind-down routine. Avoid napping during the day. This can keep you up at night. Put away your phone or computer and read a book instead from about an hour before sleep. Avoid stimulants like caffeine a few hours before bedtime as these make it hard to fall asleep. Also avoid alcohol as it can cause a poor night's sleep and cause you to wake up in the night, as well as feel unrested the next day. Make sure you're getting regular exercise. Exercise can help to maintain a healthy lifestyle, however, do not exercise too close to bedtime. Try taking a warm bath before bed. Ensure your bedroom is dark and quiet, with no artificial light e.g. don't sleep with a TV on. Also, ensure your room is not too hot or cold. What are Sleeping Pills and how do they Treat Insomnia? If you suffer from insomnia, sleeping tablets are definitely something to consider. These tablets are uniquely formulated, tested and approved for use by individuals suffering from various sleeping problems. Some sleeping medications work on the central nervous system to induce sleep, while others slow down brain activity, and in so doing allow the individual to enter a calm state that is conducive to sleep. There are numerous different types of sleeping pills on the market that have proven highly effective for fast relief from the symptoms of insomnia, with each one working in a slightly different way to suit the individual needs of users. What are the Most Effective Types of Sleeping Pills? Benzodiazepines: Sleeping tablets in this category work by increasing gamma amino butyric acid (GABA), which is a chemical that the brain produces naturally to calm and slow down activity in the central nervous system. It relieves insomnia by decreasing central nervous system activity, enabling you to relax and helping you to sleep soundly. Nitrazepam is an example of a commonly used benzodiazepine sleeping medication. Non-Benzodiazepines: Zopiclone is a popular example of a non-benzodiazepine medication used to treat insomnia. It is a sedative hypnotic and calms the brain, slows down overactive thought-processes and aids in combatting sleeplessness. How Should Sleeping Tablets be used? There are pros and cons to using sleeping pills, however, most negative effects are well-tolerated if taken according to usage instructions and recommended precautions are heeded. The short-term use of sleeping medications must complement long term strategies, such as improving one's diet, exercising and so on. In short, in order to get the best results from sleeping tablets, you must ensure you use them exactly as recommended. They must be taken at the correct time, you must never take more than advised, as exceeding the recommended dosage can cause unwanted effects. Furthermore, because your body can become used to them, they are not intended to be used for prolonged periods of time. One should start to wean off them slowly, after a few weeks of use. Is it Possible to Buy Online Sleeping Pills? 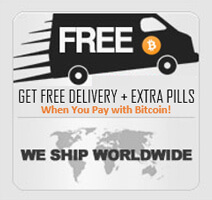 In the modern internet age, it is quite straight-forward to buy sleeping pills online in the UK. Care should be taken that the medication being purchased is an authentic product from a licensed and reputable manufacturer. Once this has been established, online sleeping pills can be purchased in a cost-effective manner for fast, effective treatment of insomnia.